Like its namesake, Colorado's Rainbow Trail arcs through the Sangre de Cristo mountain range, providing roughly 100 miles of outdoor fun. 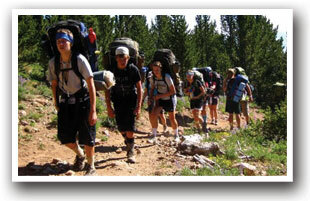 Vacationers can enjoy everything from hiking to horseback riding to biking on the immense trail. Motorized trail vehicles can also use a portion of the route as well as many of the area's side trails and four-wheel drive roads. Interested in hunting or fishing? The Rainbow Trail offers plenty of that, too. Many side trails lead visitors up to mountain lakes and streams for fishing, and during hunting season, gamesmen will find plenty of bear, deer and elk nearby. 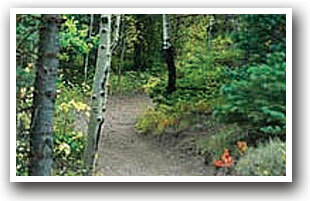 Visitors can also take their pick when it comes to accommodations near the trail. Salida and Westcliffe provide plenty of options on either end of the route, while smaller mountain towns such as Coaldale and Cotopaxi offer accommodations in between. And, along the trail itself, there are several developed and undeveloped campgrounds for anyone who prefers a tent.